Brunswick- Roger Brown, 79, passed away on Tuesday October 23, 2018 at Brentwood Rehab and Nursing Center in Yarmouth with his family by his side. He was born in Bath on December 17, 1939 a son of Arthur and Vona Brown. He attended Morse High School in Bath and graduated in 1958. 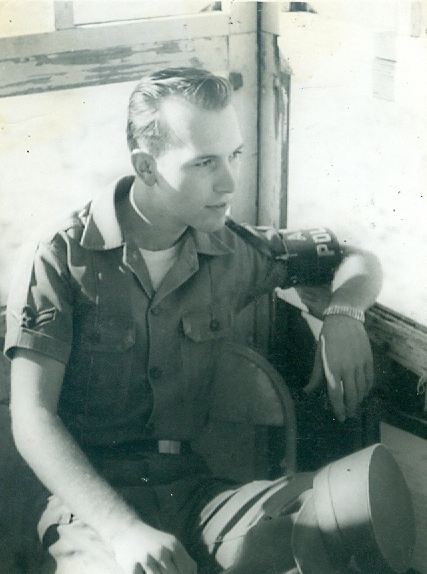 Roger proudly served four years in the US Air Force. In 1958, Roger received a trip to California as a graduation present from his parents. Roger met a young woman named Carmen Lopez in a bean field in San Jose, CA. Little did he know that this woman would be the love of his life. He married his true love, Carmen Lopez in June of 1961. Together they settled in West Bath, Maine in October 1962. They shared 54 years of marriage before her passing in 2016. He loved being near the water and enjoyed traveling, day trips, camping, and fishing with him family. Roger worked at Mikelsky’s Furniture Store for a period of 10 years. Then for Bath Iron Works for 26 years as a purchaser. He was a lifelong member of St. Mary’s Catholic Church in Bath. He had an extensive collection of model trains in his home which started out as a hobby becoming a passion of his. He is survived by his two sons: Gary Brown and his wife Barbara of Wales and Eric Brown of Brunswick, 5 grandchildren, and one great grandson. Roger was preceded by his parents and his beloved wife Carmen on January 16, 2016. The family would like to send a very special thank you to the staff at Brentwood for the love, compassion and care they all gave to Roger and the family. A memorial service will be held at 11 A.M. on Thursday, November 1, 2018 at Daigle Funeral Home, 819 High Street, Bath. Burial will follow at Oak Grove Cemetery in Bath with military honors. Condolences may be made online at www.Daiglefuneralhome.com.